I’ve always loved perfume, ever since I was a little girl. Just a spritz can evoke forgotten memories, uplift your mood or transport you back in time to special moments in your life or to exotic places you’d like to visit. As my obsession for perfume grew, I began to tire of mainstream scents that smell all the same (a girly, overly sweet concoction that makes everyone you meet think you’ve just fallen into a candy store), and started exploring niche lines in a quest to find complex, memorable and special creations. To the delight of both the perfumista and the history geek that live inside me, I’ve found quite a few that are not just intriguing, but are also inspired by historical figures and eras. Decadent, luxurious and, sadly, often expensive, these fragrances would make the perfect present for any history lover. They would look beautiful on your vanity and, if someone asks you what you’re wearing, you can tell them its story. Any excuse is good to talk about history, isn’t it? Pierre Lubin was an apprentice to royal perfumer, Jean-Louis Fargeon, who created many scents for the unfortunate Queen of France, Marie Antoinette. One of her favourites, which she always carried with her in a black jade bottle to protect it from light, was inspired by her beloved garden at the Petit Trianon. It was known as “jardin secret”. Lubin copied the formula, which thus managed to survive the Revolution. Now, it has been revived. But what does it smell like? Described as “exquisitely confident and unapologetically luxurious”, the opening, which features galbanum and bergamot, is cool and spicy; in the heart satiny roses and frilly jasmine are intertwined with spicy cardamom and cinnamon, and exotic incense; the drydown is a warm and velvety blend of patchouli, tonka bean, vanilla and amber. 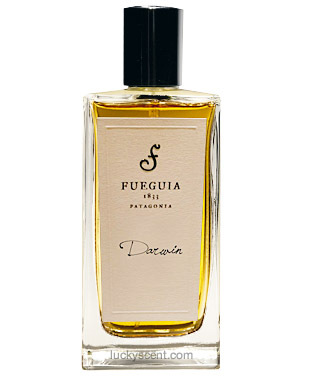 Decadently luxurious, a 50ml bottle will set you back $130! 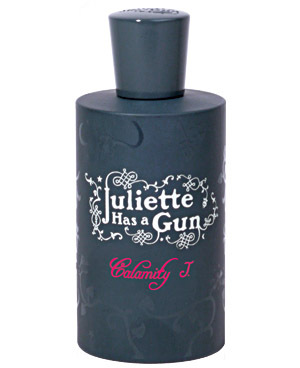 Available at Lucky Scent. 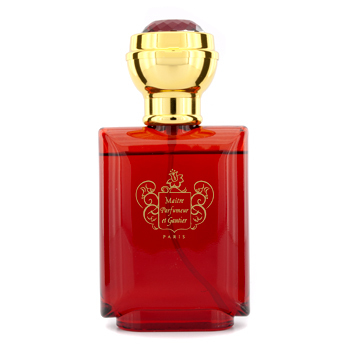 Histoires De Parfums is a niche line that tells “stories about famous characters, raw materials and mythical years”. 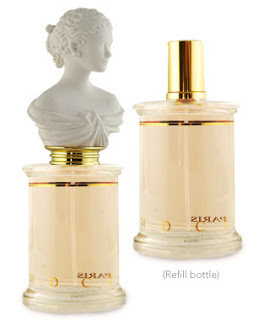 1826, pictured above, is a fragrance inspired by the last French empress, Eugénie de Montijo. Born in Granada, this beautiful, sensual and elegant lady captivated Napoleon III and presided over his court, influencing its artistic and mundane life. This luminous fragrance is described as “a sensual amber carried by the power of white flowers and patchouli, of which the empress loved the unforgettable vapor trail.” The brand also has created fragrances inspired by George Sand (1804), Sidonie Gabrielle Colette (1873), Mata Hari (1876), Casanova (1725), Marquis De Sade (1740) and Jules Verne (1828). The scents are all available at histoiresdeparfums.com and retail at €87 for 60ml. You can also purchase a sample set with 6 scents of your choice at only €15 p&p included. Parfum D’Empire is another niche brand, this time inspired by the empires of history. 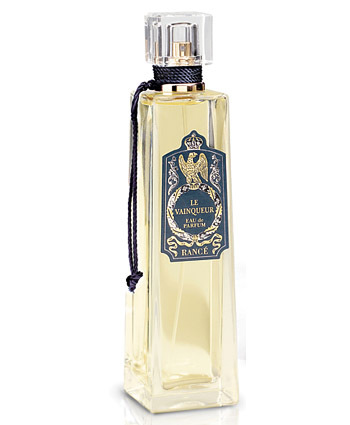 Pictured above is Ambre Russe, an intense elixir that conjures the opulence of the Russian Empire with the warmth of ambergris, intensified by vibrant spices, the smokey aroma of Russian tea, and the spirituality of incense. 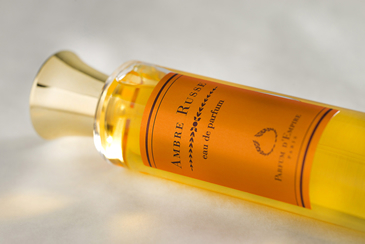 Other scents are inspired by the Kingdom of Morocco (Azemour Les Oranges), the wisdom of China (Osmanthus Interdite), Napoleon (Eau De Gloire) and his wife Josephine (Eau Suave). They retail at $75 each (50ml) and are available at Lucky Scent. Founded by Jean-François Laport in 1989, this niche brand creates luxurious perfumes based on traditional recipes of the 17th century. 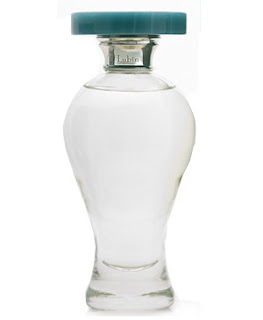 Particularly interesting to history lovers is their Les Caprice Du Dandy series, which features unusual perfumes inspired by the dandy’s quest for perfection and elegance, like Iris Bleu Gris. The iris, which is typically used in scents for women, is here enriched with wood and aromatic plants, creating a warm and original, masculine accord. Available at aedes.com, a 3.4oz bottle costs $130. Français Rancé was Napoleon’s favourite perfumer, and created “Le Vainqueur”, “ l’Eau d’Austerlitz” and “Gloire à l’Aigle Français” for the emperor. At the end of the 1880s, a descendant, Alexandre Rancé, moved to Milan, where the firm is still based. The family is still obsessed with Napoleon and has created several scents dedicated to the Emperor and his family, as well as reviving Le Vainqueur, a citrusy cologne enriched with lavender, geranium, leather, woods, iris, musk and amber. Other scents include Josephine, Francois Charles (dedicated to Napoleon’s son) and Laetitia (inspired by Napoleon’s mother). The scents are available at europerfumes.com and are in the $92-$130 range. Parfums MDCI (Marchal Design & Créations Indépendantes), is a small company that believes perfume is an art rather than a commodity (and I agree). The brand admires the Renaissance period and aims to create contemporary equivalents of the precious objects that used to belong to the Medicis and the Sun King but are now scattered in museums all over the world. The scents are all housed in exquisite glass bottles adorned with unique bisque stoppers. They are refillable, which means that you can keep the stopper and change only the bottle. Pictured above is Vepres Siciliennes. Inspired by Verdi’s opera of the same name, it “honors the duality of man’s nature— the peaceful time of prayer and the uncertain dangers that await.” It opens with an accord of peppery citrus and crushed green leaves; the heart is a bouquet of jasmine, magnolia, ylang ylang, heliotrope, cedar and oakmoss; the drydown is a blend of osmanthus, raspberry, clove, plum and peach. Unfortunately, the brand is quite expensive. Available at Lucky Scent, the fragrances are in the $250-$610 price range! But you can always order a sample for $5, although the small vial won’t feature a cute sculpted bust stopper.